Finished summer holidays and the relaxing days spent with the family, enjoying the sun and the beach, in exotic places or in beautiful Italian landscapes, Inci-Flex’s team with their CEO Vincenzo Consalvo at the forefront as usual, restarts with new programs, new and more ambitious projects and challenges that transport Italian excellence beyond the national borders. And the structure grows. 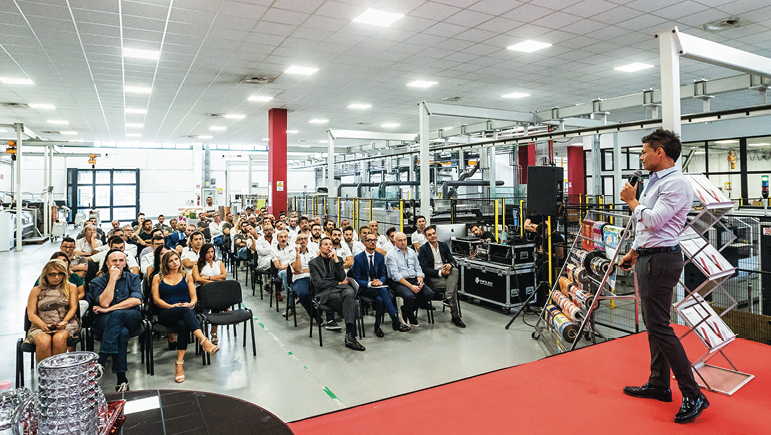 The team of the Salerno company specialized in prepress solutions for flexible packing got stronger at both operational level – with the acquisition of new specialized graphic designers and technical experts and, even more, at managerial level. 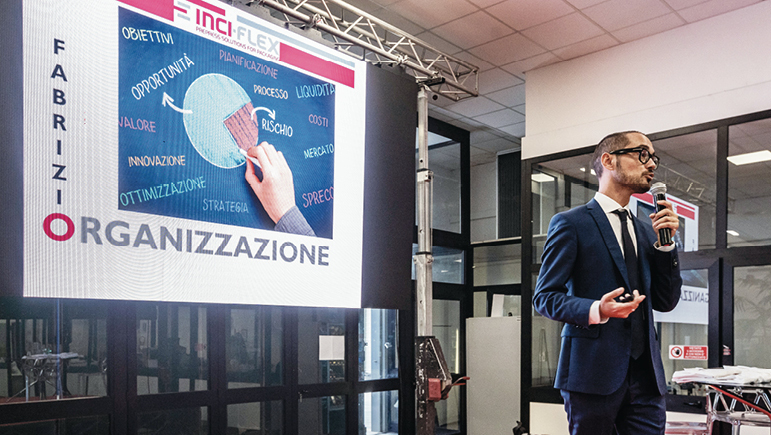 These values are at the basis of the results achieved by Inci-Flex till today and they were therefore assigned – like passing the baton – to the two new operations managers of the Flexo and Roto Departments of the company. They were officially presented to the company on 3 September, in the purest Inci-Flex style, combining awareness of the role and sense of responsibility with the friendliness and solidarity that make a job significant. A stronger management. Loreto Simoncelli took the lead of the Flexo Department of Inci-Flex. With proven and solid experience in this role, he immediately weighed up the situation with his team and indicated the direction. The trace is simple and effective: “make a step, then check, check again and finally go ahead”. Concentration and focus during execution of one’s job are for Simoncelli two crucial points: he demands them from his team and he personally puts them in place, as an attitude and example. During his work sessions uncommon strength and determination are clearly perceived. 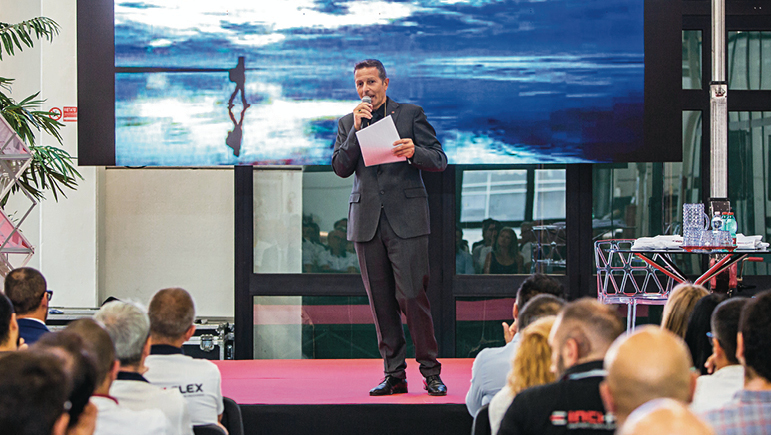 Fabrizio Gasparro welcomed with enthusiasm and professionalism the challenge of optimizing and doubling production of the Roto Department. Although young, Gasparro can boast a brilliant resume with over 20 years spent in the Roto sector. He is young, brilliant and genuine: these are the qualities that his team recognizes in him and that are found in his declaration: “the challenge of my transfer from Milan, a role of responsibility, a leader company that trust me, are elements that motivate me to share every grain of my experience so that great results can be attained together… always giving the utmost of our attention and quality to our clients”. Little formality and maximum dedication is what he asks from his men. Proud and convinced, Vincenzo Consalvo underlines: “Every decision of mine – whether concerning the acquisition of an innovative technology or aiming to strengthen the operative and managerial personnel with more advanced competences – has one sole and fundamental focus… to be able to always offer the client the best of the best. For this reason we are in constant search of improvement in the processes of control, production and customer care. My sincere thanks to Simoncello and Gasparro who have chosen to join the Inci-Flex team”.